Early childhood education is vital for students to succeed in school, but far too few of Illinois’ youngest children have access to high quality early learning programs. 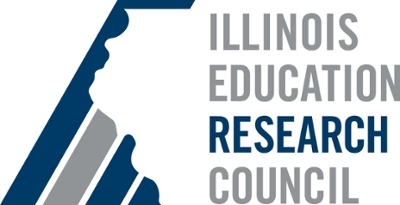 A report released today from the Illinois Education Research Council (IERC) at Southern Illinois University Edwardsville describes how eleven Illinois communities are working to change that. The communities are part of the Early Childhood Innovation Zones initiative, sponsored by the Illinois Governor’s Office for Early Childhood Education and managed by Illinois Action for Children as part of the state’s Race to the Top-Early Learning Challenge grant. The IERC study details the innovations emerging from this grant and lessons learned from the communities’ experiences. “This in-depth study of community systems development provides insights into the strategies used to increase enrollment and quality in the early childhood system, as well as the broader implications of these efforts,” said IERC Executive Director Janet Holt. The Innovation Zones initiative was designed to allow local communities to develop and implement new strategies to ensure that all young children have access to high quality early learning programs. The participating communities were Aurora, Cicero, Elgin, Greater East St. Louis, the south suburbs of Cook County, Williamson County, and the Altgeld-Riverdale, Austin, Englewood, North Lawndale, Pilsen and Little Village communities in Chicago. Illinois Action for Children worked closely with each community to guide and support their progress. This IERC study describes how individuals in each of these communities worked together to develop new ways to increase enrollment in their local early learning programs and summarizes the impacts of this work. Innovations detailed in the report include efforts to increase enrollment by building partnerships with other social service organizations, expanding developmental screening campaigns, and making the early childhood education system more user-friendly for families. According to Carol E. Colannino, assistant research professor at SIUE and a co-author of the report, a key factor in the success of the Innovation Zones was disrupting the climate of isolation or competition in the early learning community and providing educators the skills and the opportunity to work together to form a collaborative and coherent system. The complete report is available at ierc.education. For more information, call the IERC at (618) 650-2840 or (866) 799-4372. Photos: The Illinois Education Research Council is an independent research organization that conducts education policy research on issues of import to the state of Illinois. 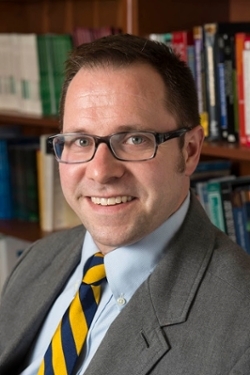 Bradford R. White, lead author of the IERC report, entitled Illinois’ Early Childhood Innovation Zones: A New Model for State Policy?